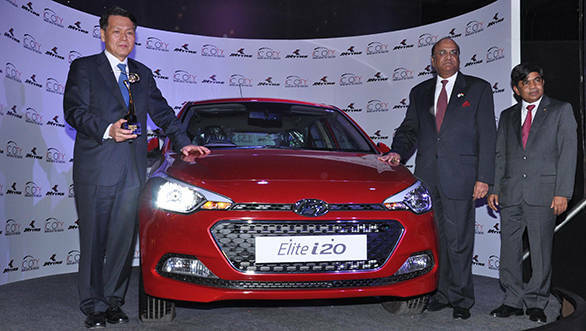 The Elite i20 has now earned the country's most prestigious automotive award. 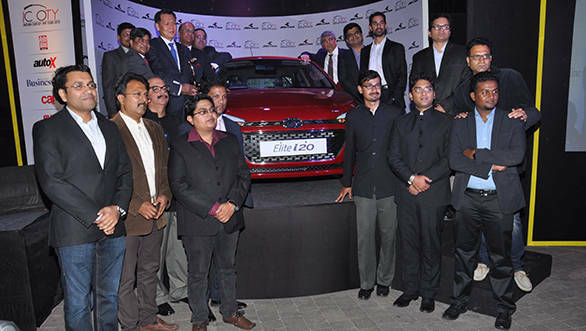 In an interesting battle where it was pitted against the likes of the Maruti Suzuki Ciaz and Honda City, the Elite i20 emerged victorious as The Indian car of the Year 2015 (ICOTY). The jury for the award consisted of senior editors from prominent automotive publications in the country including Bertrand D'souza and Halley Prabhakar from OVERDRIVE. The award is more in sync with international awards such as American Car of the Year. Raghupati Singhania, chairman and managing director, JK Tyre and Bob Rupani, chairman ICOTY 2015 presented the Indian Car of the Year trophy to the team from Hyundai Motor India Ltd. "We are honoured to win the most prestigious automotive award - The Indian car of the Year 2015 for our world-class product Elite i20. Winning two successive ICOTY awards symbolises Hyundai's commitment to Indian customers", said BS Seo MD and CEO, HMIL. All cars that qualify for these awards are new models. Existing cars that have had cosmetic facelifts or minor mechanical changes, like different power or drive-trains are not eligible. The ICOTY evaluates the entire package based on parameters including innovation, design, superior technology, safety and value for money. This makes the selection process very challenging as all the vehicles shortlisted have been performing well in their respective segments. This is Hyundai's second consecutive win, with the Grand i10 bagging the title last year. Other cars that have held the title previously include the Renault Duster (2013) and the Maruti Suzuki Swift (2012). The year 2014 saw a lot of new car launches but only ten of them made it to the nominees list for the 2015 ICOTY award. The contenders also included the Datsun Go, Honda Mobilio, Mahindra Scorpio, Maruti Celerio, Tata Zest and the Toyota Corolla.